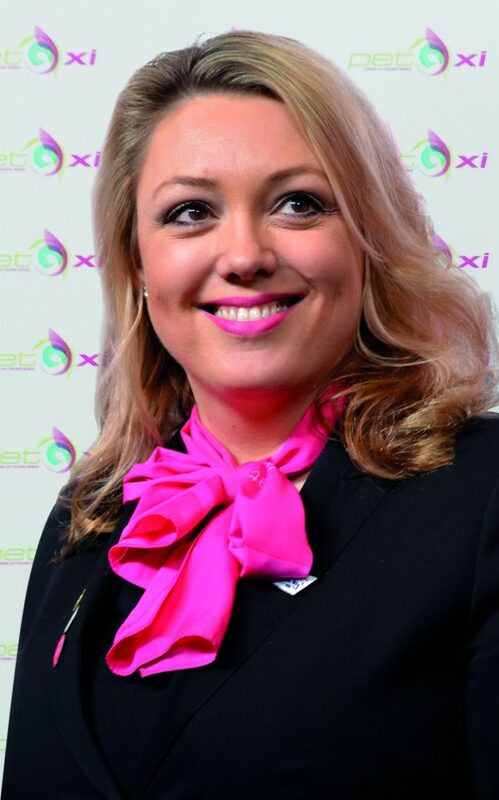 Fleur Sexton is the managing director of PET-Xi Training and part of our Leading Ladies network. Winning Birmingham Businesswoman of the Year, she talks to us about her work and long-standing relationship with Birmingham Hippodrome. I am the managing director of PET-Xi Training which is one of the UK’s leading education and training specialists. Last year, I was crowned Businesswoman of the Year and during the last 12 months, I have attended over 100 engagements to motivate women to fulfil their potential, highlight to Government and employers the value of investing in skills and celebrate the success and achievements of women. In 2018, I was appointed a Deputy Lieutenant of the West Midlands so I am supporting the Lord-Lieutenant in representing Her Majesty The Queen which is a major honour. I am a board member of the Coventry and Warwickshire Champions, The Coventry and Warwickshire Chamber of Commerce, the NSPCC Coventry and Warwickshire Business Board and Historic Coventry and I am chair of the Coventry Music Trust, making music and culture accessible to all young people. We are the Official Education Partner to the eight Wasps Netball Academy Hubs. Tell us a bit more about the work of PET-Xi? I set-up PET-Xi Training from a spare bedroom at our home in Coventry in 1995 and I now have 500 full and part-time employees. Our talented teams and innovative programmes upskill people in the workplace and students in schools across the UK. Upskilling the nation is one of our major drivers and we have been awarded a contract from the West Midlands Combined Authority via the Government’s Department for Work and Pensions to hold specific job advice sessions and provide specialist support in Camp Hill, Nuneaton. The Employment Support Pilot scheme will also help low-paid workers achieve the skills needed to gain more highly-qualified, better-paid jobs. We have also been appointed as a Delivery Partner of the Coventry and Warwickshire Skills 4 Growth programme which is partly funded by the European Social Fund (ESF). It involves assisting eligible SMEs in Coventry and Warwickshire to access a range of training that leads to staff achieving accredited qualifications and supporting the development of skills of employees to aid the growth of businesses. Since 1995, we have helped over 150,000 youngsters and those not in education, employment or training from Northumberland to Cornwall to pass their exams through highly-intensive training courses. We run Microsoft Office Specialist programmes in three different markets – schools, business and vocational – which teach and accredit highly-employable IT skills in Microsoft Word, PowerPoint and Excel to help low-paid workers achieve the skills needed to gain more highly-qualified, better-paid jobs and women returning to work after a break to raise their family. What does it take to be Business Woman of the Year? First and foremost, it is about running a successful business and being a great ambassador for women in business, as well as encouraging more businesswomen to believe in themselves to expand and try new markets. My message throughout my 12 months as Business Woman of the Year has been that real queens fix each other’s crowns so I have been supporting and encouraging other women in business because it can be a lonely place when things are going wrong, as they do for everyone from time to time. I also think it is important to be a role model so that other women can look up to you and not be afraid to ask for your advice and think that they would like to be involved in your business. I love what I do. I love working with young people and helping people move on and progress in their lives. I love our team at PET-Xi Training. Even when there are days that are difficult, it is a pleasure to work here. I thrive on solving problems and breaking barriers. Once I have fixed problem such as helping to get women back into work after a career break, there is the immediate satisfaction and then I move on to look for the next problem to solve because I want to keep growing the business and expanding the courses we offer to a wider range of markets. There is a saying that if you choose a job you love, you will never have to work a day in your life – and that is how I feel. Why did you choose to become a corporate supporter at Birmingham Hippodrome through the work of PET-Xi? I love the work of the Birmingham Hippodrome in supporting young people in breaking down barriers which matches our ethos in helping those Not in Education, Employment or Training. Birmingham Hippodrome’s work through the arts and culture in taking dance to communities which wouldn’t ordinarily have been involved in arts performances is also breaking down barriers. The theatre is also accessible to people with special needs who may otherwise not be able to enjoy performances such as the relaxed performances where they can walk in and out of the show and make as much noise as they want. I always love going to the Birmingham Hippodrome and I think it is life-affirming with all its successes. Their values of inclusivity and raising aspirations are very in line with ours. What’s the best show you’ve seen on our stage? There is so many that it is difficult to choose because I have enjoyed every production I have seen so I have selected two! Les Misérables was absolutely incredible – the costumes, the music, the choreography, the story. It is one of my all-time favourites and I loved it. It’s coming back again next year and I can’t wait to see it again! The other was Billy Elliot the Musical Live which was unbelievable and so emotional and also really life-affirming. Fabulous music too! We often buy the musical score after we’ve seen a show and my two daughters and I love learning to play the music from the shows on the piano. I love that! I have never seen any show at the Birmingham Hippodrome that I wouldn’t recommend which is the highest praise that I can give. I go with my family, friends or colleagues and we always have a great night. What show are you excited to see in the future? Every year, in the first week of December, we have a family trip to see The Nutcracker performed by the Birmingham Royal Ballet which signifies the start of Christmas for me. I love the fact there is a live orchestra and Royal Ballet Sinfonia perform magnificently. They are in the orchestra pit and you can see them. We love to get there a bit early and watch them tuning up. I have also just got tickets for Matthew Bourne’s Swan Lake which I am very excited about seeing for the first time in February. It will be an amazing show and it has incredible reviews so I’m looking forward to that. Find out more about our Leading Ladies network on our website here.